Today is our 3 year wedding anniversary, I can’t believe how fast time flies! Anniversaries are so special and fun to celebrate and in these three years of marriage I’ve fallen more and more in love with my hubby than I ever thought possible. Words could never describe how special he is to me, every day I feel lucky to be his wife. 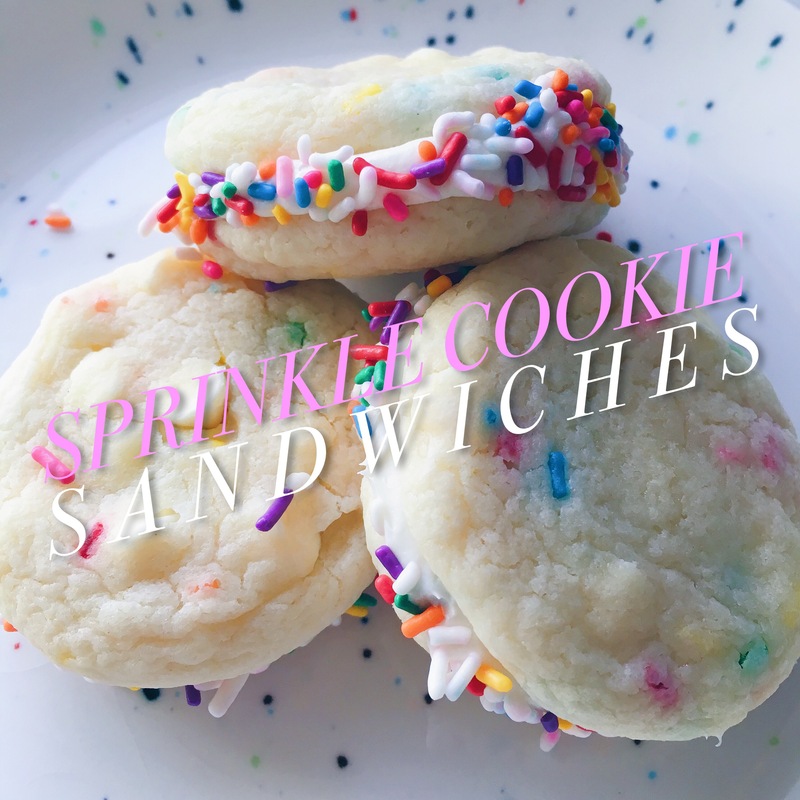 This year to make our anniversary even sweeter I made these fun Sprinkled Cookie Sandwiches. They are extremely simple to make since I used store bought cake mix and frosting. There is definitely nothing wrong with making delicious treats that come from a box! 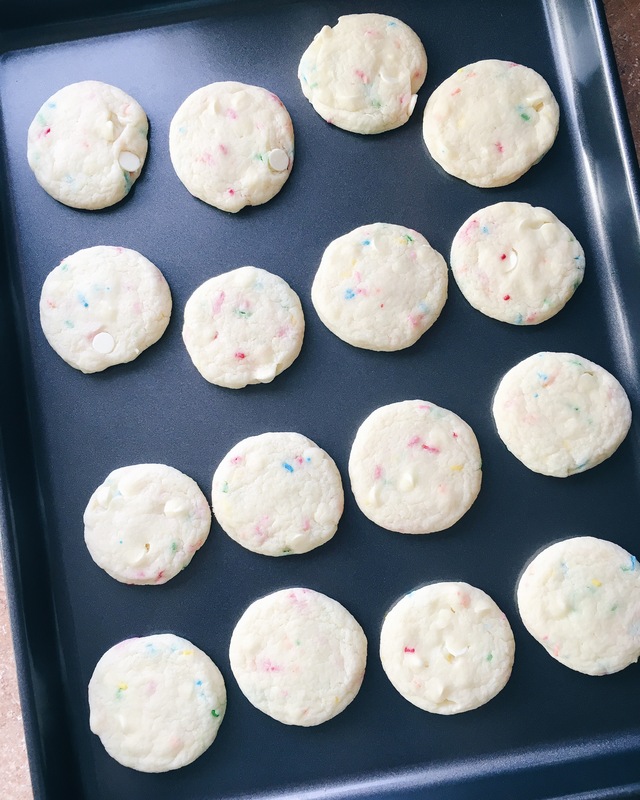 I decided to make sprinkled cookies because our wedding cake was a sprinkle cake, I loved having a fun cake that we love to eat and would really enjoy at our wedding. 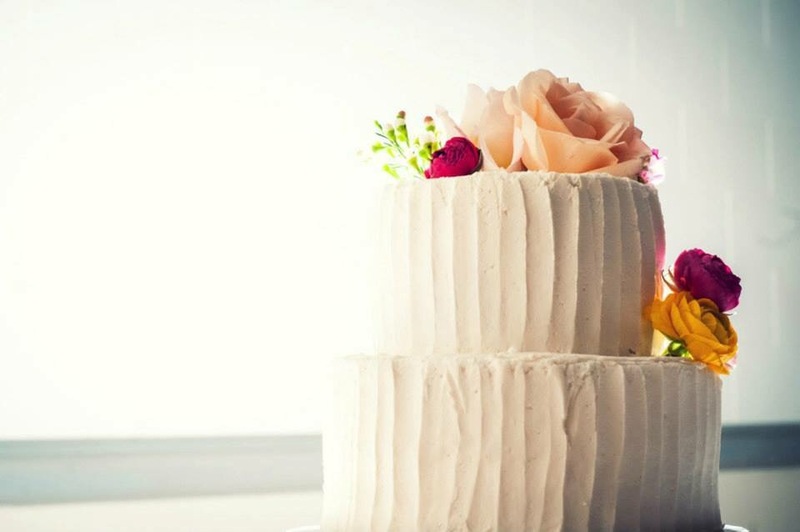 Here’s our wedding cake, I loved how gorgeously simple it was. 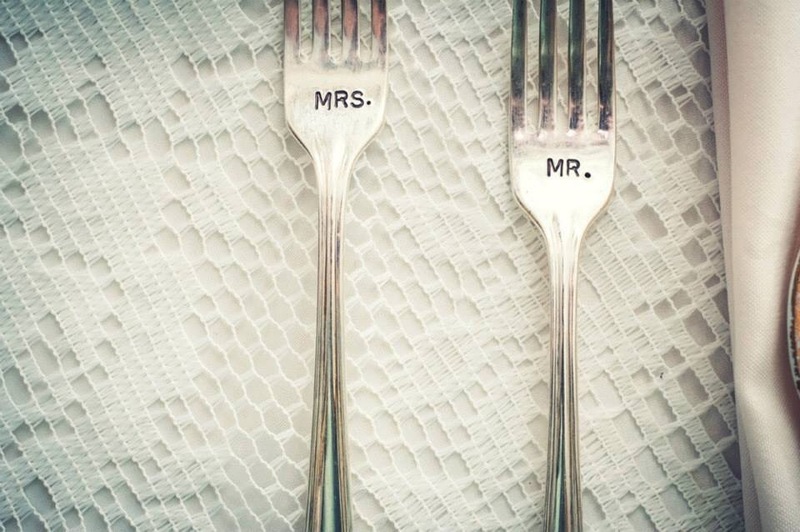 These were the forks we used to eat the cake at our wedding and now I have them hanging in our kitchen. Every time I see them it makes me think of that amazingly wonderful day and gives me all the feels. Just one more wedding pic. 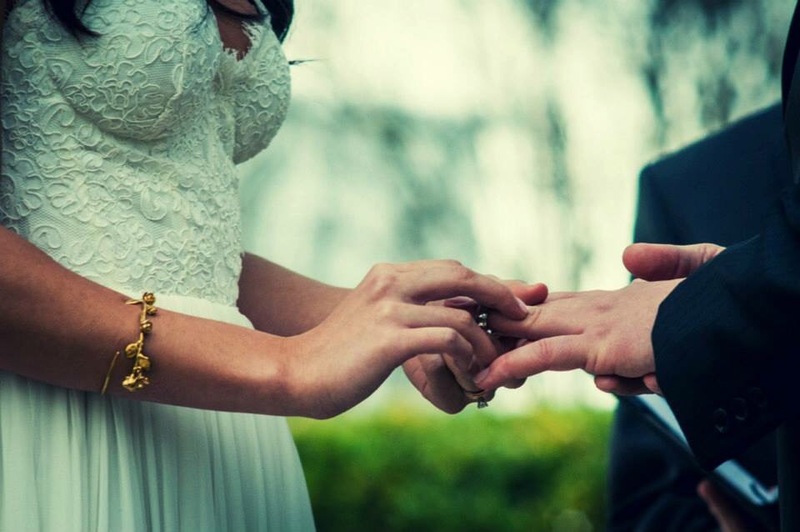 I swear, but this was the moment I will never ever forget, sealing the deal with our rings in front of all of our loved ones. I have this picture hanging in our bedroom, it is so special to me. And nowww back to the cookies… here’s the dough all stirred together and ready for the cookie sheet. 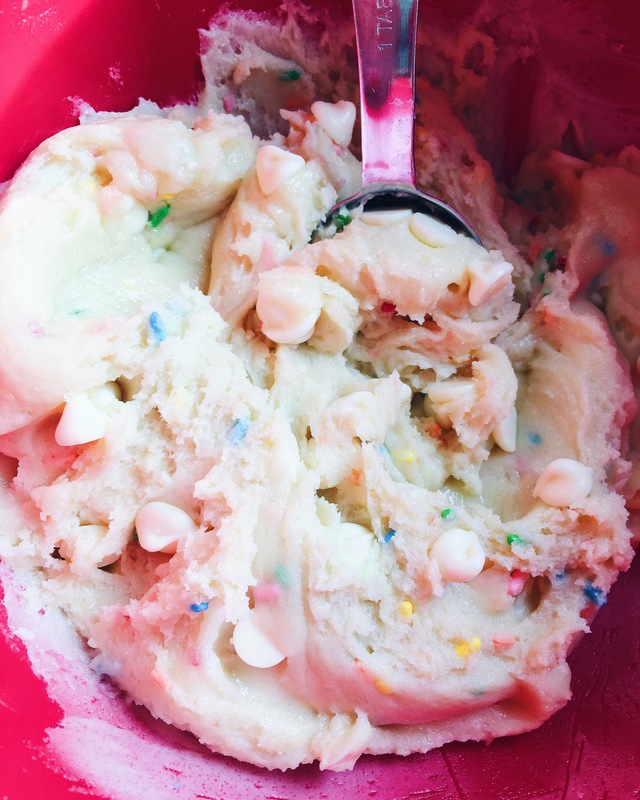 I added in white chocolate chips for extra texture and fun. You’ll measure out each cookie dough ball with a tablespoon-size measuring spoon and place them about an inch apart on the cookie sheet. Once they’re all measured out roll each one in your hands to make perfect shaped dough balls. Then using two fingers press each one down into the shape of a cookie so they bake evenly and in the perfect round shape you’ll want. Here’s the cookies fresh out of the oven.. and thankfully not burnt! I am known for burning cookies. I baked these for 6 minutes and they were perfectly soft and stayed soft once they cooled and were ready to assemble and eat. Once the cookies are fully cooled, put your prep station together, and start getting your cookie sandwich on. You’ll frost the bottom of one cookie… …and then you’ll place a another cookies bottom right on the frosted side, creating a little cookie sandwich. Lightly press them together so a little frosting comes out of the edges. Then it’s time to roll your cookie sandwich in the sprinkles and ta-da! cookie sandwiches to enjoy! I love making these, and especially eating them. 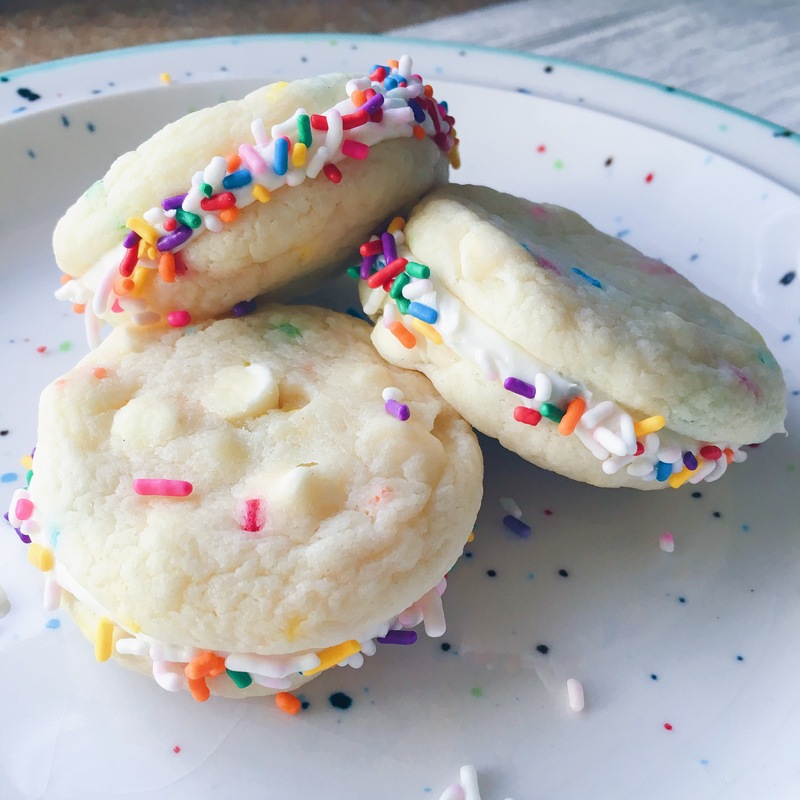 I feel a little less guilt eating these than eating two separate cookies since it feels like you’re only eating one at a time 😉 Also these are wonderful to throw together and bring somewhere immediately because you can stack them or put them on a plate overlapping without having to wait for the frosting to dry or risk them getting all messed up. They are just the cutest little treats! In a large bowl combine the cake mix, oil and eggs until thoroughly moistened. Then fold in the white chocolate chips. Using a tablespoon-size measuring spoon scoop out flattened balls of dough and place on ungreased cookie sheets about an inch apart. Once all of the cookie dough is on the cookie sheets, roll each one in your clean hands to form a perfect ball, place back in its spot on the sheet and press down with two fingers so they are flattened about 1/4 inch thick. Repeat for all cookie dough balls. Place cookie sheet in oven and bake for 6-7 minutes, or until edges are light golden brown. Let cool completely before forming the cookie sandwiches. 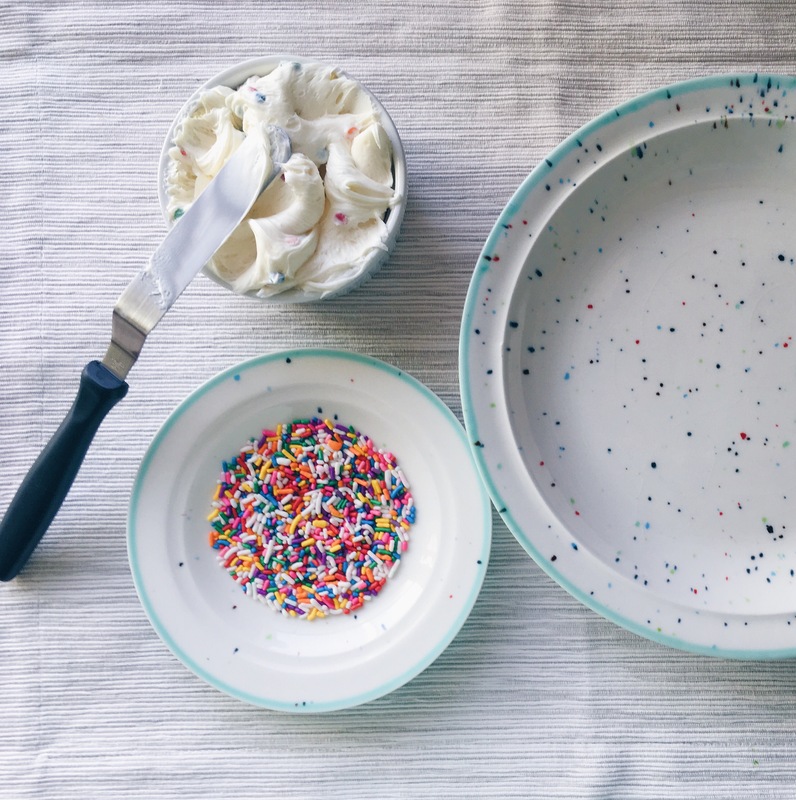 Once cookies are cooled, pour sprinkles onto a small plate. 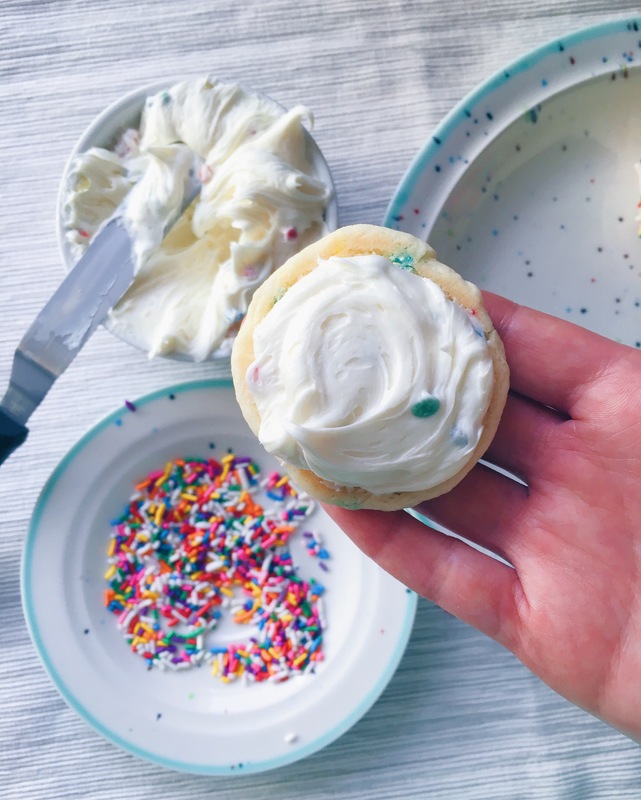 To make the cookie sandwiches, frost the bottom side of one cookie and press another cookies bottom onto the frosting side to create the cookie sandwich. Press lightly so that a little frosting comes out the edges. 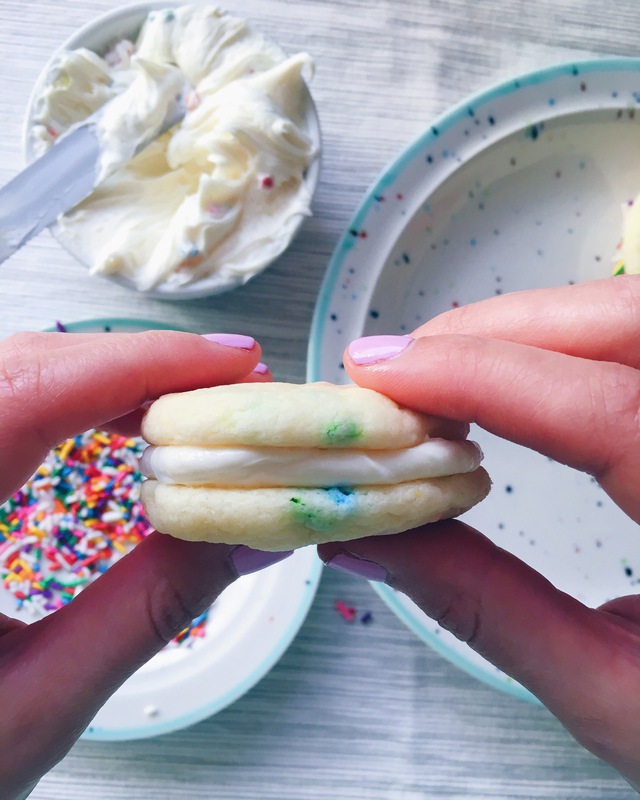 Then roll the side of the cookie sandwich in the sprinkles, and voila Sprinkle Cookie Sandwiches. Repeat for all cookies until all cookies are frosted, sandwiched and sprinkled. Note: The cookie sandwiches will last in an airtight container for up to a week. 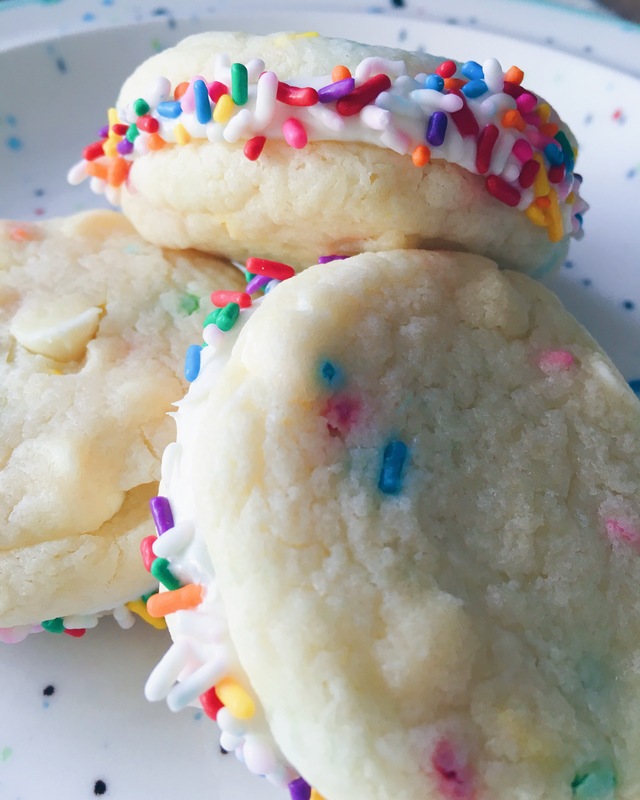 This cookie recipe was adapted from the Pillsbury website for Funfetti Cookies.